As I already have your site access details let me look into it. 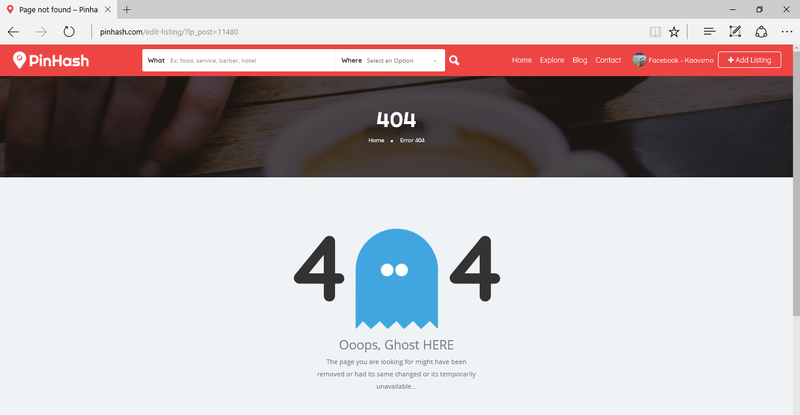 I logged in, tested your site listing edit page and it was redirecting to the 404 page. Then after exploring it in depth, I found that the editing listing page needed to be configured. I have configured it on your site and it's working fine now. Which php file had the issue? There was no PHP file to be fixed. It was required to add new page and set it up through Visual Composer for the edit listing.